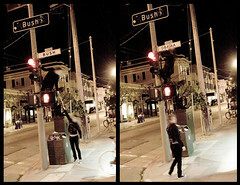 As on Election Day, Bush Street in San Francisco was transformed into Obama Street. I saw this today while running out for lunch downtown. 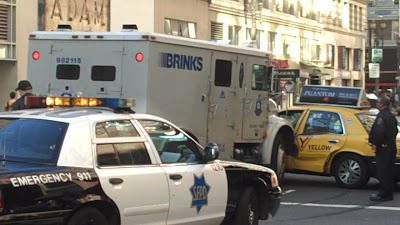 It looks like nobody was hurt, but still ... important safety tip: do not cut in front of the armored car.